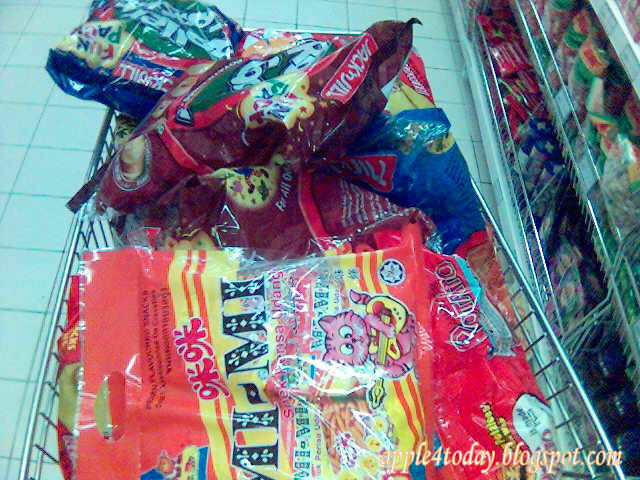 Have you ever seen someone buy this much of junk food only? If you ever bump into someone girl just strolling along the junk food aisle pushing her trolley laiden by tons of junk food, most probably that will be my sister. No, she is not an event manager nor a kindy teacher. She works in the same computer company as i do. Then why does she buy so much of junk food monthly..sometimes fortnightly? It’s too satisfy the appetite of her “anak angkat sekalian” in that company -_-” Those people are 20ish on an average age and all crave junk food.